We closed on the house today! Now we’re home owners again! Apparently, this is the day when I buy houses. 11 years ago today is when I closed on the old house. We won’t be moving in right away. First we’re having most of the house painted starting with the laundry room. As more of the house gets painted, we’ll move a few things in a bit at a time. The next big moving day to empty out the storage unit will follow a few weeks later, but definitely before Labour Day weekend. Looking between the neighbours’ houses offers a pretty nice view of the field next to the development. Hopefully it stays that way for a while. There are some nice sized trees that look like they’d make good antenna supports for some portable field ops. Who knows though. One week left until we close on the house! We were up there today for the final walk-through and inspection, and I got to see the floors uncovered for the first time. They look pretty good. 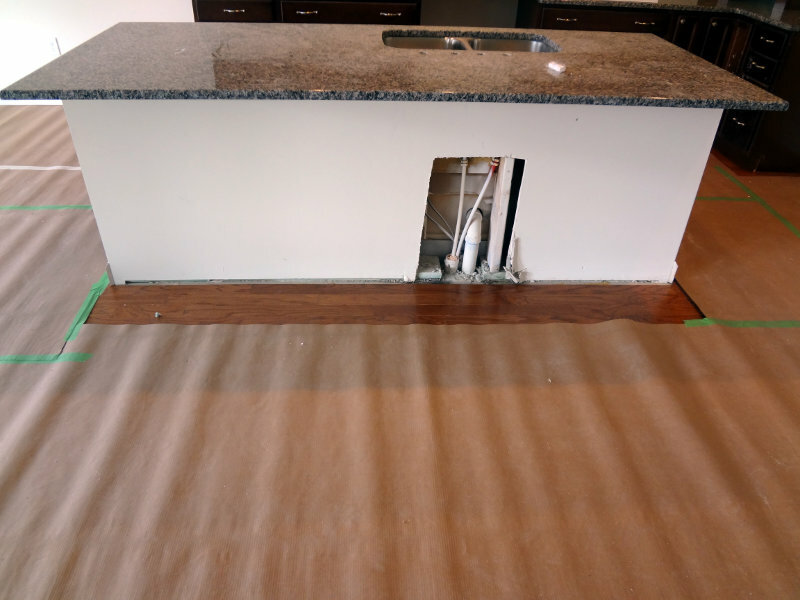 There are a few small things still left to do, and a few things got added to the punch list for the builders to fix before closing, but everything is looking really good so far. 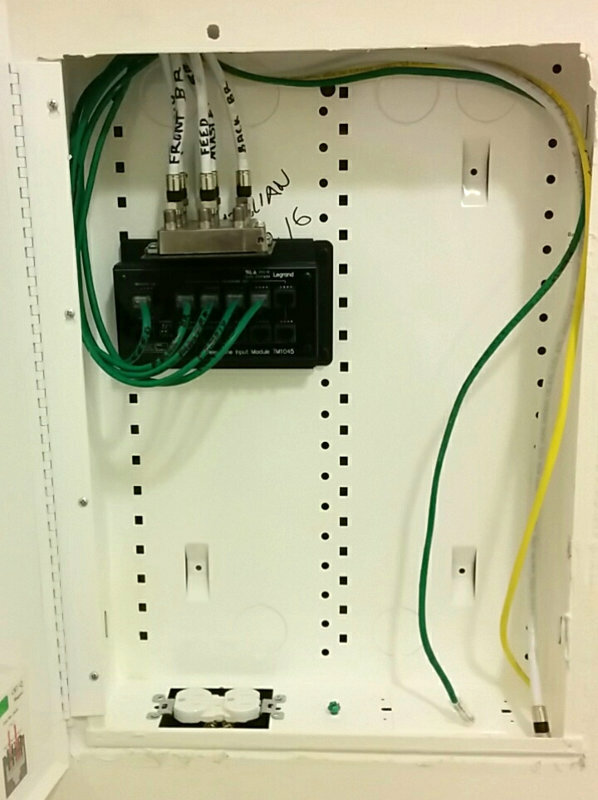 The structured wiring panel is set up with the CAT5 (currently used for the phone lines) and CATV coax to the various rooms. I’ve got a few options on how to use this depending on whether we get a land line, or how we want to do the Magic Jack for phone around the house. The gas is turned on to the house, so I got to test out the gas stove. Five burners with electronic ignition, so no pilot lights to fuss with. 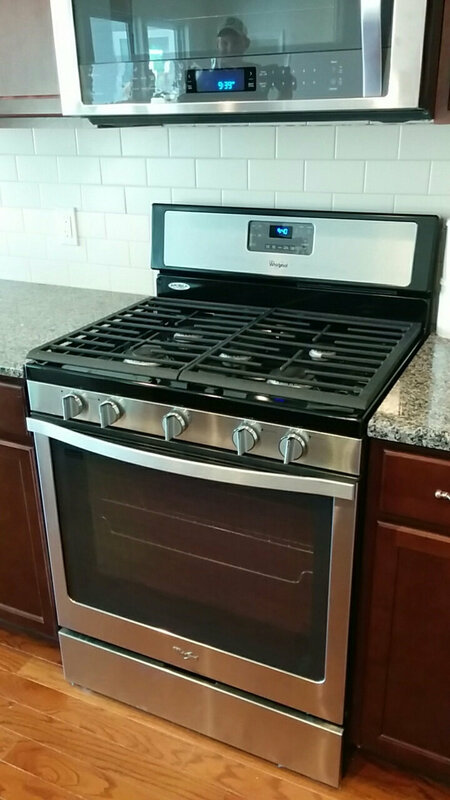 Really looking forward to cooking with a gas stove again. Here we have the breaker box all labeled. That big one in slots 1/3 is one we’re excited about. A 50A breaker for the 220V line in the shack. We’re looking forward to putting it to use one of these days. We also have several dedicated outlets in various spots, so I don’t have to worry too much about overloading circuits. Time to start packing up the apartment! When we were selling the old house, the realtor we worked with suggested we have a home inspection done beforehand to identify any problems with the house that might need fixing. 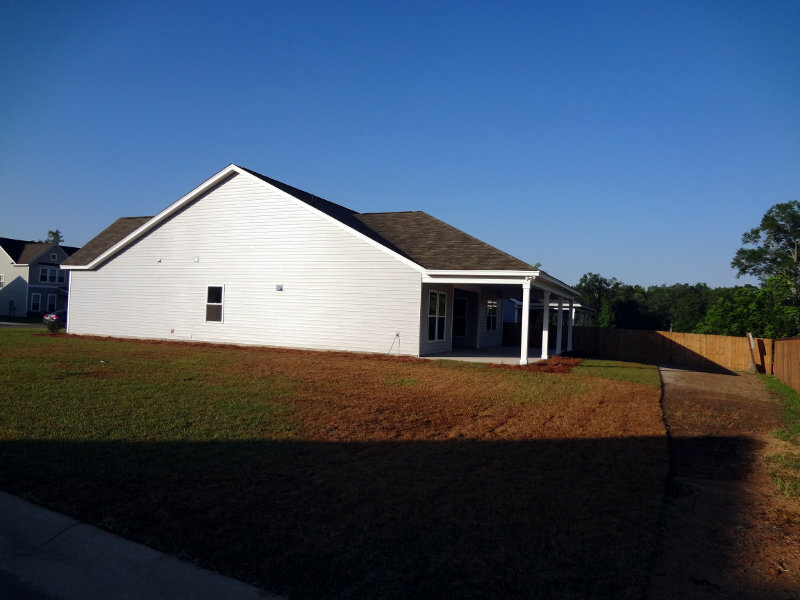 We did, and the home inspector (Robert Jones with Cardinal Home Inspections) found a few things that we were able to have taken care of when we were having the renovations done. Some of the problems he found had existed from when the house was built too. We liked the work Robert did so much, that we also hired him to do inspections for the new house as well. First we had him do a pre-slab inspection, to make sure everything was properly prepared for the slab. A few minor issues were pointed out which the builders easily took care of. 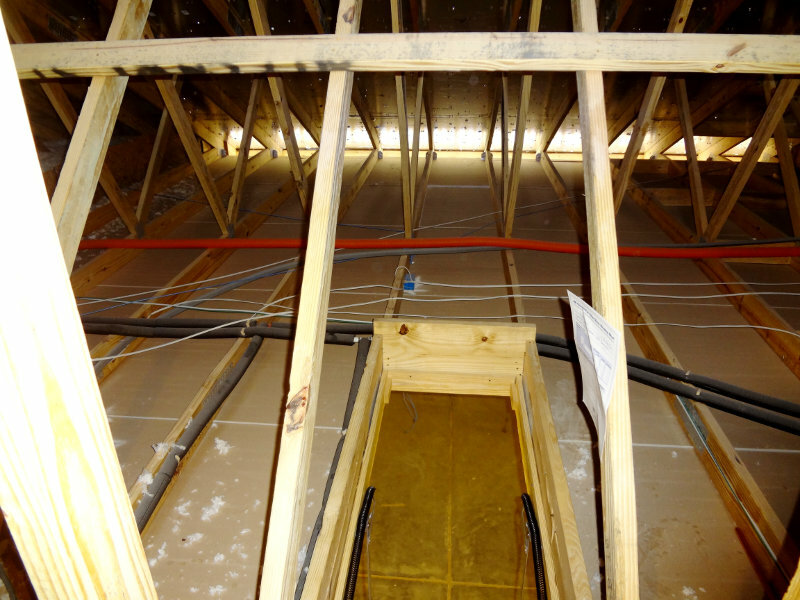 As construction progressed, we had another inspection done just before the drywall went up. 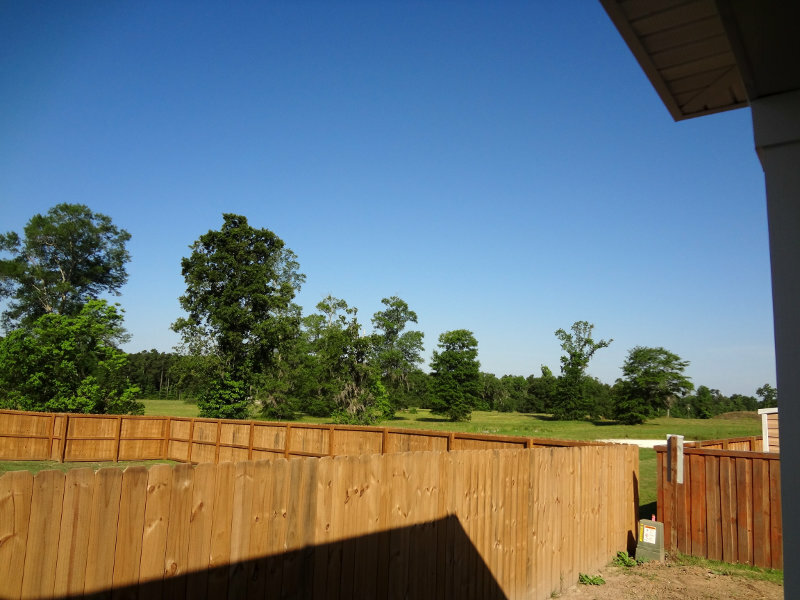 Again, a few issues were pointed out that were easily taken care of by the builders. At the final walk-through of the house today, we brought the home inspector back for another inspection. 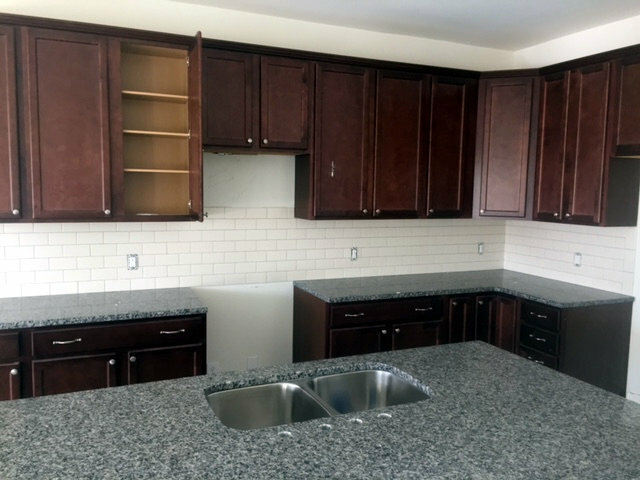 Again, a few relatively minor things were found and added to the punch list for the builder to fix before we go to closing next week. We’ll have him come back again next week before we go to the closing to have him check over the things he found today to make sure they were fixed properly. While none of the items the home inspector found at each visit were difficult for the builder to fix at the time, some of them were things that would have been much more difficult to fix had they been found much later in the process, if they were even found at all. Those hidden problems might not have caused any issues down the road, or might have resulted in headaches later. However, since they were found and taken care of ,we don’t need to worry about them. We were reasonably confident before that the builder would do a pretty good job with the house. Now, with the very thorough home inspections that were done, we can rest comfortably knowing that our new house is pretty solid, and that the probability of having construction related issues later on will be pretty low. Having all the inspections done cost us some extra money, but considering how much we’re spending on the house, it was money well spent. Now that we’ve been through all this, having home inspections done is something I highly recommend, whether you’re buying or selling, pre-existing or new construction. 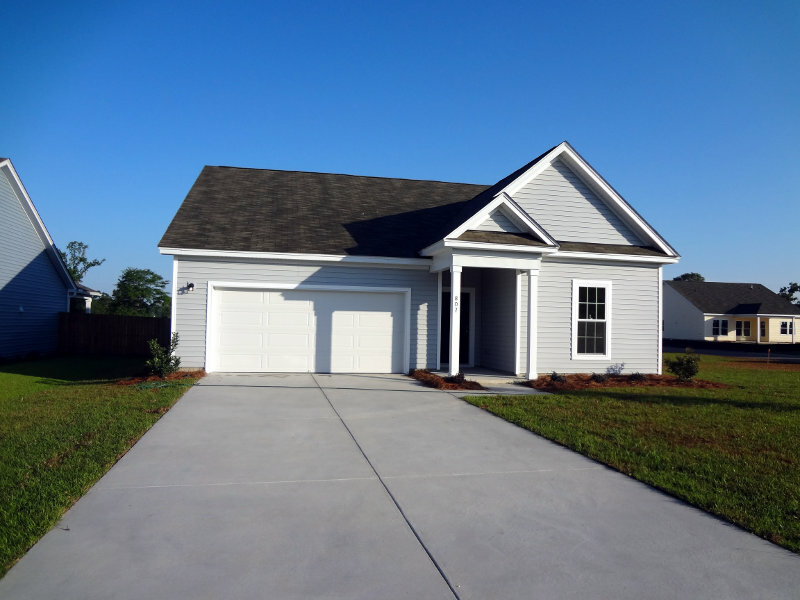 We have a house closing date! The house is looking more and more complete on the inside, and now it looks like we’ll be closing on the house the second week of May, a little sooner than originally expected. There’s still a lot of details left (plumbing, touch up painting, etc) as well as landscaping, but as of today it looks like most of the major things are in. 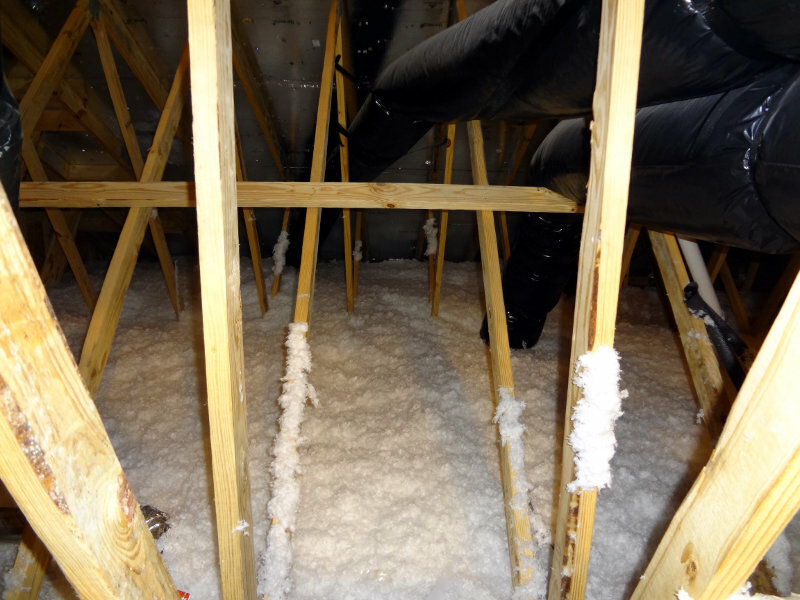 Up in the attic, there’s an additional layer of blown insulation covering the fibreglass batt insulation. Looks pretty good. Seems like the layer of blown insulation should be thicker, but that’s just based on what I’ve seen from the old house where I think almost all the insulation was blown. I’m sure whatever is there is probably enough. There’s no insulation over the garage part, which isn’t unexpected. Most of the garage will end up being workspace, so I think if it ends up being too uncomfortable to work in, it would be easy enough for me to add a layer or two of batt insulation to the space above the garage. The rest of the house is looking pretty good. 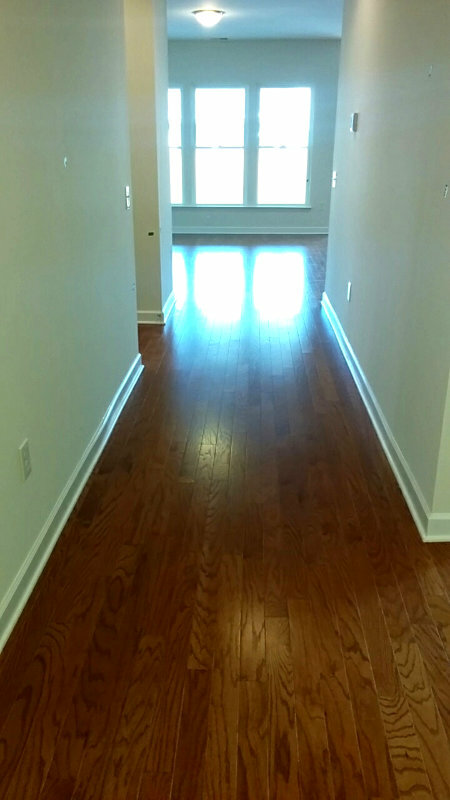 All the rooms have carpet in them, and the wood floors look pretty good. The wood floors are glued to the slab, so if I ever decide to replace them, it’s going to be a pretty big job. The appliance garage we opted for got installed in the corner. 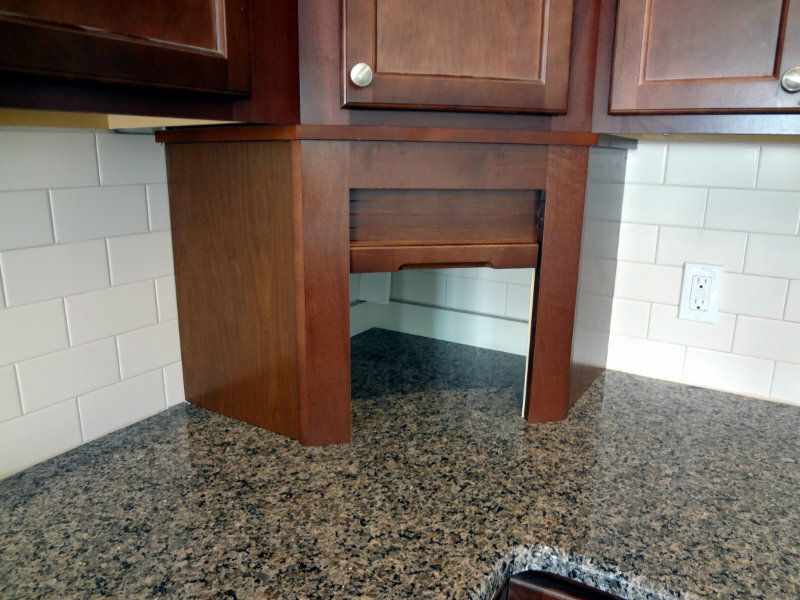 It takes up some counter space, but will give us a place to tuck things away when they’re not being used. One of the outlets in the kitchen even has two USB charging ports! Now that we have a closing date, this will kick off a lot of things on the TODO list. The next few months are going to be pretty busy. Last week the new house got the kitchen counters installed, and the shower in the master bath got tiled. 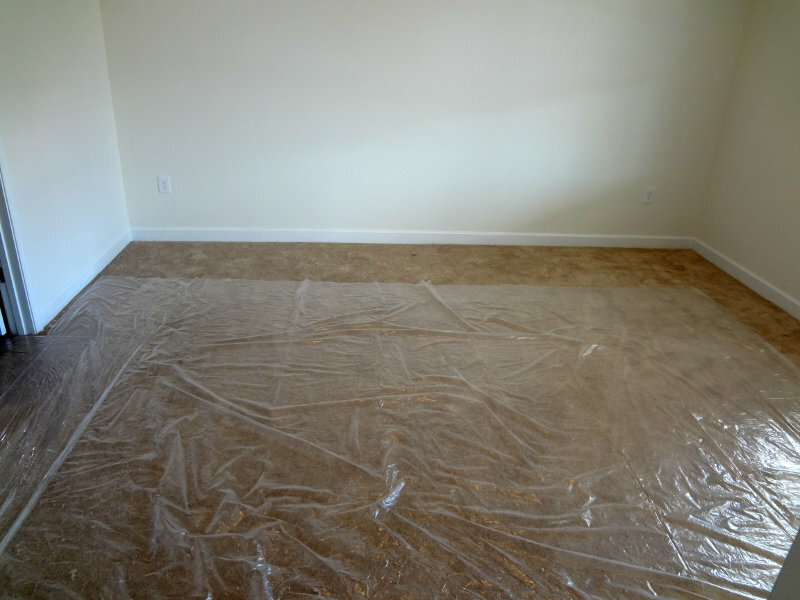 Some parts of the house also got the vinyl flooring put in. 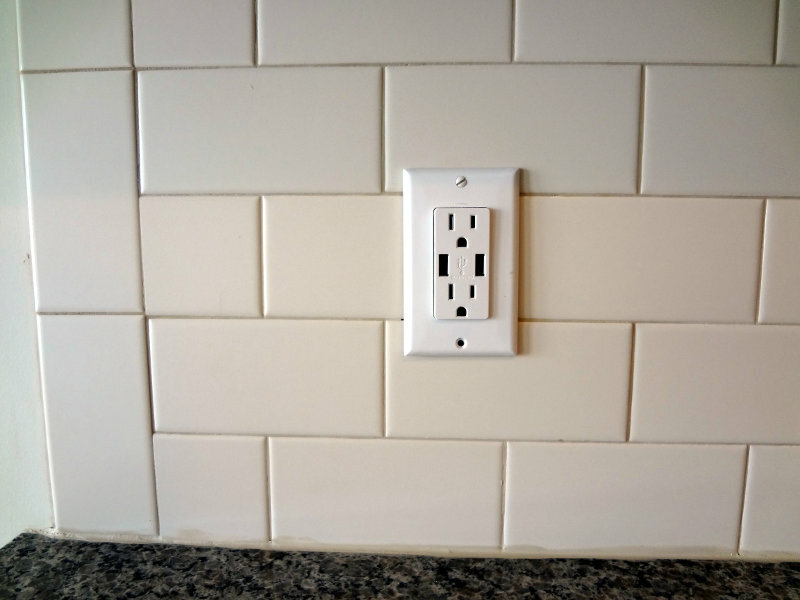 Yesterday the tile backsplash got put on the wall, and it looks like some outlets were installed too.